What Makes Alexandra Zerner So Talented? - Welcome To All That Shreds Magazine! Alexandra Zerner is one of the renowned musical moguls in the Bulgarian musical industry; one cannot talk Bulgarian music without talking of Alexandra Zerner. 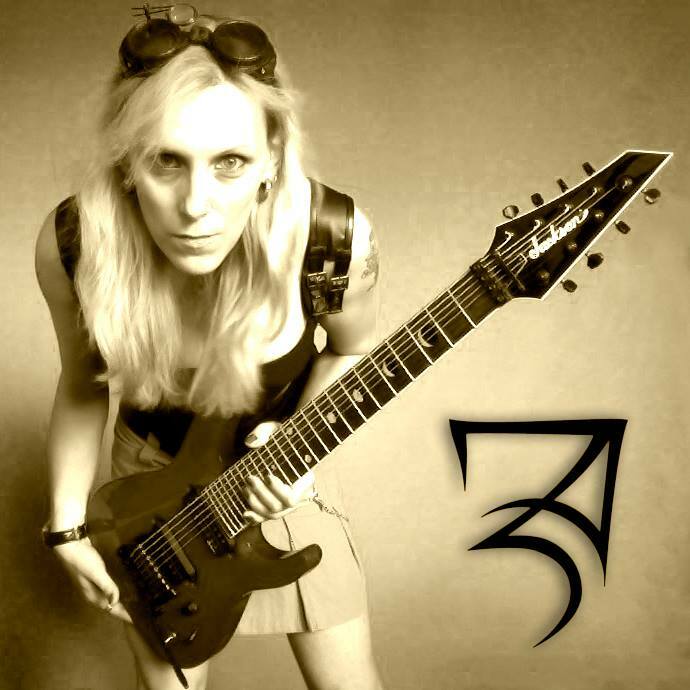 She was Born in Sofia, Bulgaria, Alexandra Zerner who is a solo artist, a guitar player, numerous instrumental player and a composer as well. She has been able to take part as a sessional musical, sound technician and a guitar lecturer since the year 2001. In 2015, she was called by Déhà Amsg to be a part of the Post-Rock-Ambient production by the name “Aurora Borealis ”, where they all together worked on the album by the name ’Path To Atlas”. This was released onNovember 20, 2015. In 2015, Alexandra started working on her number second solo album, going by the name –Aspects which was released on December 22, 2015. it took the musical industry by storm it did so well. Meanwhile, she was named by Jason Becker in October 2015 series of Guitar Player publication, along with Jeff Loomis, concerning her cover of Jason Becker’s classic- Perpetual Burn. In January 2016, Alexandra began competing in projects like –Vivaldi Metals Projects as a leading guitarist. Since February 2016, she has been able to work with a band to showcase her albums lively, while she was also working on her number third solo album, which she believes will be released in 2018. In August 2016, Alexandra Zerner was able to win herself Nili Brosh’s – Matter of Perception- Melody Competition, competing against many guitarists from different countries all over the world. She was named by a number of guitarist greats – Nili Brosh, Greg Howe, Jason Becker, and Marco Sfogli, and she was awarded the EMG endorsement award. In October 2016, Alexandra was able to be highlighted Shredder of the Month title at All That Shreds website. In the same year- November 7th, 2016 she and her band we able to perform as a supportive act for the Stu Hamm and Greg Howe in her country Sofia, Bulgaria. Few days after, on November 11th, Alexandra Zerner was able to releases her acoustic E.P, which she called –An Evening Walk which also did very well in the Bulgarian musical industry and the general world. Alexandra was also named one of the top 10 female shredders by All That Shreds. Alexandra’s playing will be demanded across the globe!